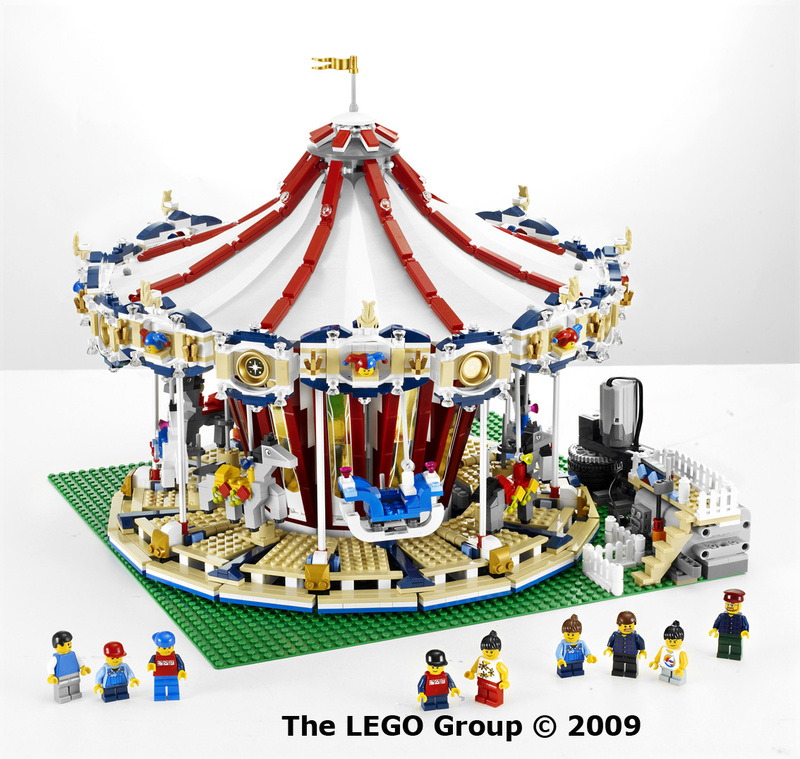 Lego sets have increased in size and complexity exponentially since the inception of the toy brick. This is both a good and a bad thing. In the latter case, people (particularly those of older generations) sometimes comment on how Lego had changed in a way that made it completely unrecognizable from the multitude of parts that exist to day. They’re right of course, and in some ways they’re also justified in the belief that this is unfortunate. There is a certain beauty and simplicity that attends the art of butting sculptures from completely square bricks. There is also a certain genius. Even though computer programs now make the genius and foresight previously required relatively obsolete, the art form can still be appreciated. There is a danger also in crafting Lego pieces too specifically in that visualisation no longer becomes no longer necessary and imagination even less so. In some ways it could be argued a level of fun is lost. It is however difficult to argue against the elegance and beauty of modern sets. The ten that are covered here may not be the most aesthetically pleasing but they all possess a certain grandeur because of the size, scope and complexity. Regardless of how far Lego sets have advanced, these sets all still look like they were built out of Lego, and in this, sense it’s probably safe to assume that the complexity of the Lego brick hasn’t become too unrecognisable yet. The Lego Sydney Opera House (10234) released in 2013 captures the iconic Australian structure in elegant style. Containing 2989 pieces it uses many unique pieces to capture the structure’s near inimitable flair and shape. The Lego Imperial Star Destroyer (10030) was released in 2002 and is one of my personal favourites. It took me about 36 straight hours to build. Held together on the inside by magnets, the set consists of 3096 pieces featuring intricate detail along the sides of the ship. 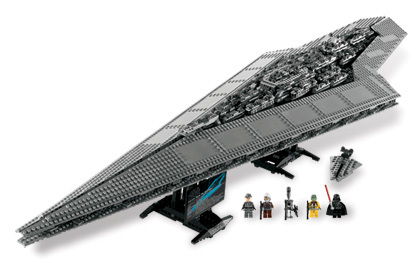 Darth Vader’s personal flagship in Return of the Jedi the Lego Imperial Superstar Destroyer (10221) boasts an impressive 3152 pieces and was released 10 years after its predecessor in this list in 2012. The Lego Grand Carousel 10196 released by Lego in 2009, it consists of 3293 pieces and is a picturesque set consisting of gold-coloured elements, transparent jewels and mirror-like decals. The Carousel actually turns and plays music. 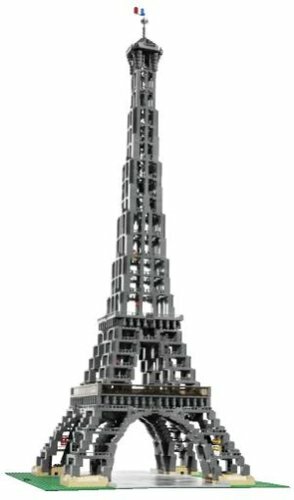 The Lego Eiffel Tower set 10181 consists of 3428 pieces and was released in 2007. It is a grandiose set and captures the style and feel of the steel French structure with ease. Crowned with a French flag at the top this set c’est magnifique! The Lego Death Star II 10143 consists of 3441 pieces and was released in 2005. It was a builder’s dream that aimed to recapture the size and scale of the incomplete Death Star from the third original Star Wars Film. The Lego Death Star (10188) consists of 3803 pieces and was released in 2008. Following in the footsteps of its predecessor, this set contained several scenes from A New Hope and Return of the Jedi and rated immensely high on the play-ability scale. Featuring Darth Vader and Luke’s light saber fight, the Trash Compacter as well as Ta Turbo Laser Cannon and Tie Fighter hanger bay, among many things, this set encompassed a truly masterful construction with a child’s imagination. The Lego Tower Bridge (10214) consists of 4287 pieces and was released in 2010. Capturing the massive English structure, the colourful set was another advanced Lego architectural model and even came with a mini red double decker bus. 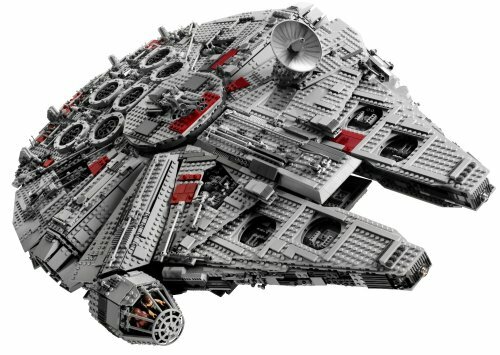 The Lego Millennium Falcon UCS (10179) consists of 5195 pieces and was released in 2007. 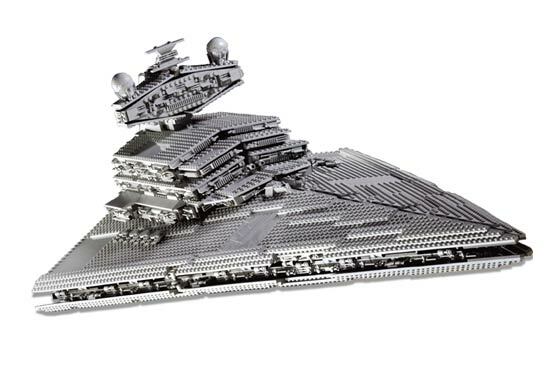 It is to date the most valuable Lego set in existence and the design is superb. The only Falcon set made to proper minifigure scale, the set is a work of art and a joy to behold. The Lego Taj Majal 10189 consists of 5922 pieces and was released in 2008. The biggest Lego set EVER, it has a simple yet elegant overall design. The devil is indeed in the details as they say however and a closer inspection of the set reveals beautiful, crisp and imaginative artwork that flows throughout the entire set. It’s domed shape sits resplendently amidst its grand structure, and the model’s design from the top down was copied from images on Google Maps.